Yesterday The White House on Wednesday banned a CNN reporter from a press event in the Rose Garden. Of course, the mainstream media launched an immediate attack on the First Amendment from President Trump and they did that just with the claims made by the fake news reporter! She said that after the event, Bill Shine, the newly-minted White House deputy chief of staff for communications, called Collins into his office. 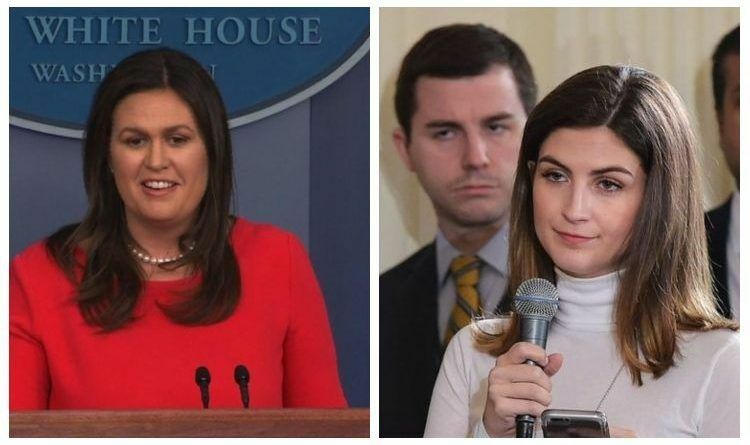 White House press secretary Sarah Huckabee Sanders was also present. But once again, that’s not the full story (and just for the record, a lie of omission is still a lie). White House Press Secretary Sarah Sanders offered a very different account. She “refused to leave” the Oval Office. Collins asked that fifth question twice, so six questions. In an Oval Office spray, it’s cool to ask one question, maybe a second on your way out — but six?! when they are rude shouting questions and want to demean our president with propaganda questions that can’t be verified, trying to embarrass our president then I am glad they are going to be banned. They should consider banning certain networks from the press conferences also as all they do I ask unimportant gotcha questions. Certainly, CNN is one of them. I mean don’t get me wrong I am a strong supporter of the First Amendment but this madness gotta stop!